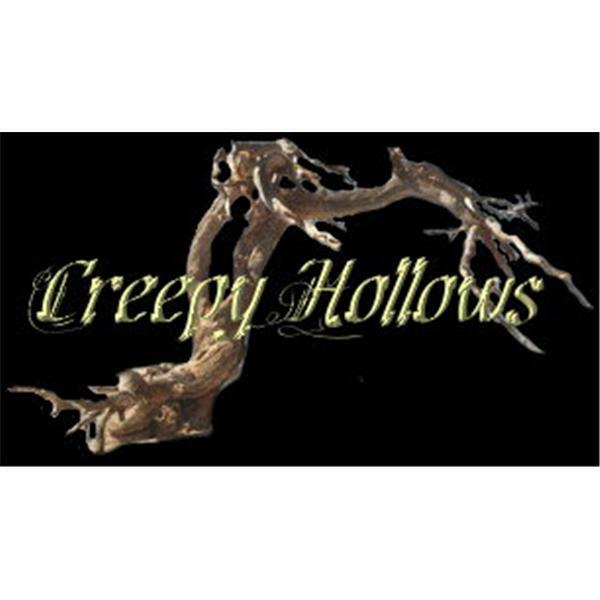 Creepy Hollows is a sanctuary for those who are interested in collecting, discovering and learning about the metaphysical and paranormal. We provide extensive resources for those who want to further their education in collecting. We were eBay's largest metaphysical and paranormal seller for over a year and a half and are one of the most watched and copied sellers of the paranormal. It is our mission to align ourselves with collectors serious about their passion for the paranormal and other sellers who share our integrity for offering spirits and enchanted magickals. We strive to make the collector's experience well-rounded by offering a Forum where collectors can gather, share and learn... an Online Store filled with spirited vessels and enchanted magickals for collectors in any stage of their journey... and a new Auction Site strictly for Metaphysical & Paranormal services and vessels to keep the integrity for us all. How to get a real, haunted artifact. What is Bridging and how does it give collectors new freedom? The growth of Creepy Hollows. A day for anwering questions and free discussion about the paranormal, metaphysical and everything in between! Creepy Hollows Radio covering the Wedderburn Mansion, Spirit for Kids, eBay gossip and more! A review of the haunted location known as the Old Slave House, a look into keeping Gargoyles and Wraiths, current news with Creepy Hollows, and more.